my girlfriend christine and her daughter sofie came for a quick visit to philly! christine is an art and photography teacher at Sparta High School. sofie is an amazing ballet dancer & wanted to go to The Rosin Box for new pointe shoes. who knew how beautiful ballet shoes are! we shopped our way thru center city with a very successful stop at Urban Outfitters for all of us! love the 80's makeup! i want to do a 80's style photo shoot! 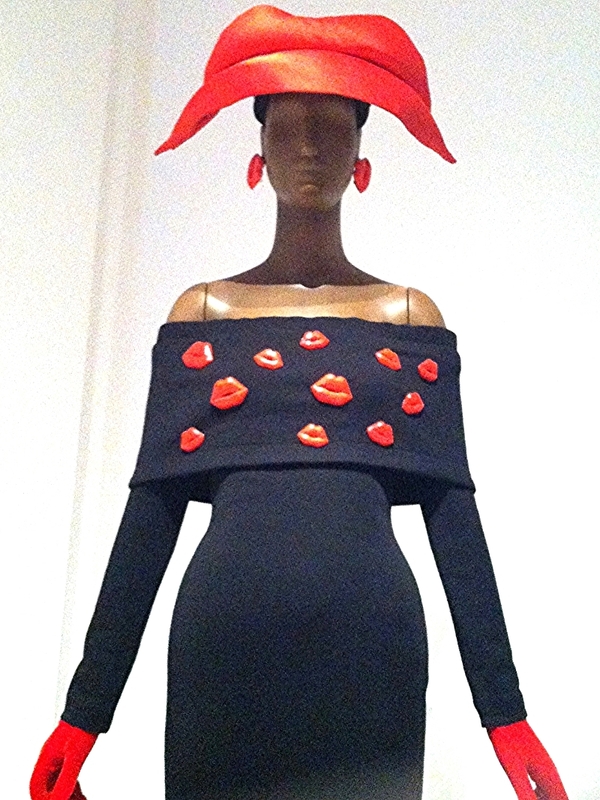 sunday morning we went to the Perelman Building - Philadelphia Museum of Art to see the Patrick Kelly : Runway of Love exhibit . I LOVE THE 80's!!!!!!!!!!!! " 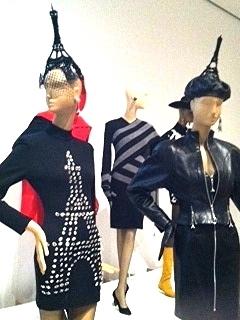 Patrick Kelly became the first American & first black designer to be voted into the prestigious Chamber Syndicale du Pret-a-Porter des Couturiers et des Createurs se Mode ,the French fashion industry association &standards organiztion. his wok pushed racial & cultural boundaries with golliwog logos, Aunt Jemima bandana dresses, and black baby doll brooches. kelly's brilliant vision and career were cut short by AIDS,to which he succumbed in 1990." 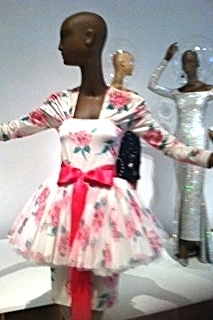 we also saw GERLAN JEANS LOVES PATRICK KELLY exhibit. 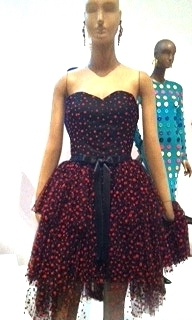 Patrick Kelly endures in the whimsical street-wear brand Gerlan Jeans. launched in 2009.
then we saw a groovy teacup! at the Main Dish exhibit . we stopped at the OVAL(Eakins) for music and a food truck dinner. the kids have some freedom and ride their scooters around & play bean bag toss. we can sit & talk! we got home and needed some chocolate! christine is gluten free, so i make these brownies i find on pintrest http://www.cookingclassy.com/2013/09/gluten-free-brownies/ so yummy!!! we made without the nuts though. our visit together was short but sweet! always great to spend time together. we had a great philly experience! miss you already christine!